Launched in the spring of 2012 as a 2013 model, the Infiniti JX35 was the Japanese luxury brand's first foray into the heart of the seven-seat luxury crossover market--dominated for many years by the Acura MDX. What was intended to be a lineup of JX models, however, lasted only a single year. 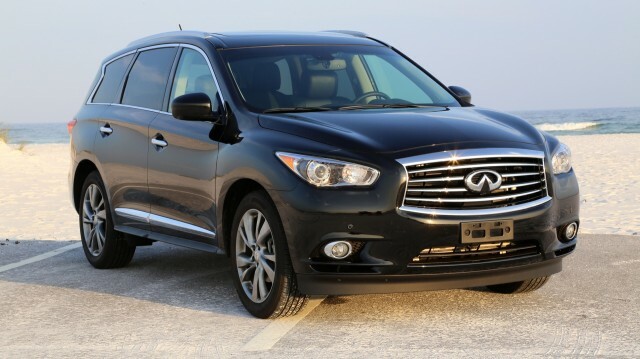 For 2014 models, Infiniti changed its naming strategy to replace all its model names (EX, FX, G, M, and JX) with new ones that began with the letter Q. Consequently, the Crossover Formerly Known As JX became the Infiniti QX60 for 2014 and thereafter. 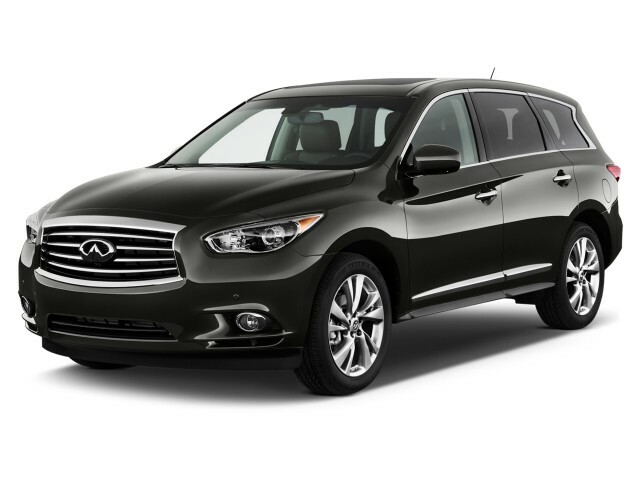 MORE: For full details on pricing, options, specifications, and gas mileage, broken down by model year, see our Infiniti QX60 page. While earlier Infiniti crossovers were smaller and more performance-oriented (the FX series) or very large indeed (the V-8-engined QX56), the Infiniti JX targeted the seven-seat heart of the luxury mid-size crossover market. Its lines included all the current Infiniti styling cues: a large chrome double-arc grille up front and a crescent-shaped rear roof pillar. The shape was smooth and curvaceous, and considering its volume, we think Infiniti did a good job in minimizing visual bulk, with the roofline dropping slightly at the rear and gently swelling "haunches" over the wheels. It was definitely a different path from the Acura's boxiness. The Infiniti JX had just one powertrain: a 265-horsepower, 3.5-liter V-6 paired withan updated Nissan continuously variable transmission (CVT). 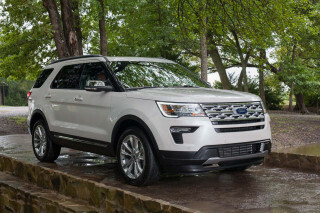 It delivered a combined EPA rating of 20 mpg with all-wheel drive, 21 mpg for the front-wheel-drive model. Drivers could choose from four drive modes: Eco, Standard, Sport, and Snow. The Sport mode was unusual in controlling the CVT to act as a conventional six-speed automatic, with a more linear relationship between engine speed and road speed--at the cost of some small losses in fuel efficiency. 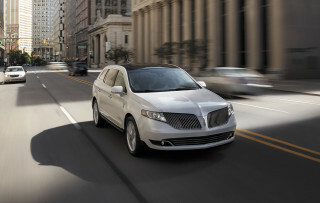 As a family vehicle, the JX was designed to maximize interior volume, safety, and convenience. 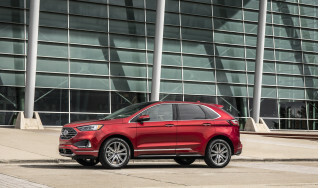 Innovations included the ability to move the second-row seat forward even if a child safety seat was latched into place, to give third-row access. If no safety seat were installed, the second-row seat was articulated in such a way that it gave 19 inches of space through which third-row kids could climb. A unique safety feature for 2013 was an optional Backup Collision safety camera, to scan the area immediately behind the tailgate when the JX is put into reverse. If it sensed an object--whether a child or a stray little red wagon--in the path of travel, it applied the brakes automatically to prevent a collision. The feature tested very highly with parents, and proved very popular in the market. Reinforcing the luxury aspect of this seven-passenger crossover, the very capable telematics package of the JX included destination assistance (at a price after the first year), in-vehicle access to Google Calendar, and alerts if the car exceeded a pre-set speed or traveled outside specific geographic boundaries. For an additional subscription fee, the Infiniti Personal Assistant service offered instant connection to a live human concierge, who was promised to do his or her best to answer any query the driver may have. 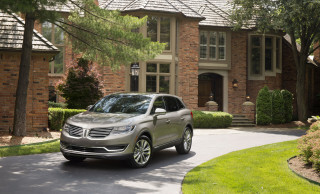 A luxurious vehicle that offers a great ride. 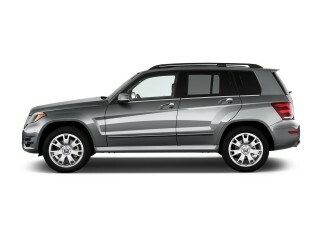 Great vehicle...luxurious ride. The interior and exterior look as classy as I would expect of any luxury vehicle, German or not.